The author of Little Heaven answers eight questions submitted by eight other authors. If you don't get queasy reading Nick Cutter, there's something wrong with you. The horror writer's latest, Little Heaven, unleashes enough twists and turns to make M.C. Escher dizzy. 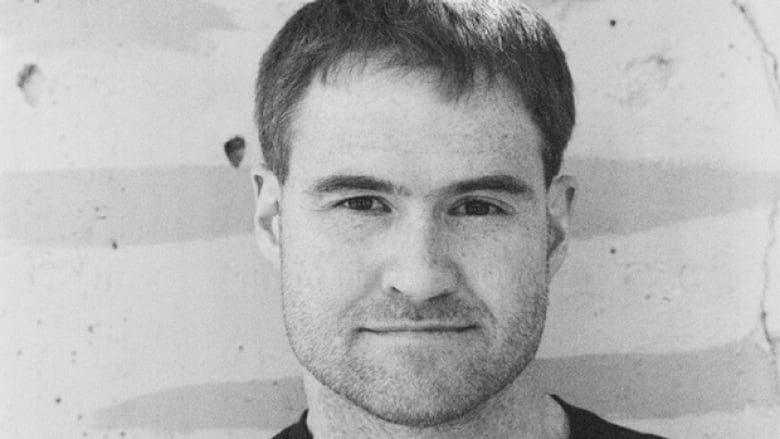 But it turns out Cutter himself — who writes award-winning literary fiction and nonfiction as Craig Davidson — is immune to queasiness. Below, Nick Cutter answers eight questions submitted by eight of his fellow writers in the CBC Books Magic 8 Q&A. 1. George Bowering asks, "Do you choose what to read (other than research) while you are writing a book, or do you just keep on reading what you read?" I might be a little more targeted while working on a given book, reading works that maybe have a similar mood or so on... but I'm not entirely sure that's a great idea with me. I'm a bit of a chameleon, even at this point in my career when you think my style would be set in stone. So I just try to read constantly while writing a book; sometimes I can be lured away by TV or video games or checking fantasy basketball, so when I'm in the heat of a project I try to keep up with the reading. 2. Caroline Pignat asks, "How do you know when a manuscript is 'finished?'" I heard someone say once that they knew the novel was done when they were sick of looking at the damn thing. When the very sentences make you gag. It's always worked for me. 3. Lynn Coady asks, "What are the common themes (or settings, symbols, etc) you always seem to come back to in your fiction (e.g., bears, wrestling and Vienna in John Irving novels)? Where do those elements come from and what makes them so tenacious?" I think that has changed the longer I've written. But animals are a big theme. Huge, actually. False prophet characters have seeped into a lot of my work. My hometown of St. Catharines and Niagara Falls, that whole area. There are probably some other themes or obsessions that I'm not even aware of that have crept insidiously into my books. 4. Robert Wiersema asks, "If someone were to create a comic book based on your life, what would your hero name be, and what would be your special gift/skill?" Oooh, tough one. The Leftover-er? Special ability: I can eat any leftover, no matter how old, stale and inedible it might be for any other member of my species. 5. Michael Christie asks, "What is the book you're most embarrassed to admit that you love?" That's a tough one, because pretty much every book I love I am not embarrassed to say I love — even the books of Guy N Smith, who wrote about rampaging giant crabs and slugs, and wrote about eight books a year. Love those books! I guess this would be a "guilty pleasure" read, right? In that case, it would be some of the horror books I read as a teenager, probably. The Splatterpunk anthologies, maybe, although yeah, not embarrassed to say I dig those. Maybe American Psycho, because it really is one of the grisliest and nastiest (and breathtakingly, bitterly, scabrously funny) books I've ever read. So, sure, go with that. Even though I'm not really embarrassed. Not even remotely, come to think of it. 6. Vivek Shraya asks, "Who is a Canadian writer you aspire to write like and why?" There are lots. I've always admired the way Wayne Johnston and David Adams Richards and Guy Vanderhaeghe do their thing. That's just it. They do their thing. No big deal. They're fantastic writers, successful careers, awards, film adaptations and what have you — the signposts to many of a successful career — and they do it without much fanfare. Linwood Barclay is a marvel. Andrew Pyper. I'd say Margaret Atwood is the Canadian writer who, over the years, I've come to admire most. She is tough in every conceivable way. She's just more furiously intelligent and courageous and hilarious than the rest of us — none of which I was really willing to concede when I was young sprat (not that she wasn't intelligent and courageous and funny; I knew she was those things, it was so plainly obvious, but just that I wasn't willing to accept she was that incredible). Well, she is! She is, to me, the most meaningful Canadian writer... ever? Yeah, for my money. 7. Shyam Selvadurai asks, "Do you think the portrayal of certain character types is beyond you? Can you name a character in a novel, whose personality, point of view and character traits you know you could never write?" Oh, I'm certain there are. I used to think I wouldn't be able to write a sociopathic machiavel who systematically tries to eliminate his fellow human beings. Turns out I can! I think maybe something like what Mark Haddon did with The Curious Incident of the Dog in the Night-Time, getting into the head of a child with autism and making it real, vital, making it work... not to say I won't try, but it would be a massive challenge and there's a good chance I botch it. 8. Jowita Bydlowska asks, "Would you rather win the Giller or have your book made into a movie starring Kiefer Sutherland and why?" Both of those would be cool. It's a dead heat!